This book includes phrases for every situation, including expressions for describing art that make one sound smart and cool. Use sweet words to entice a local beauty into a walk along the Seine, and less-then-philosophical rebuffs for those overly zealous, espresso-fuelled cafe 'poets'. There are enough insults and swear words to offend every person in France without even speaking to them in English, which they really dislike.Nobody speaks in strictly formal address anymore. 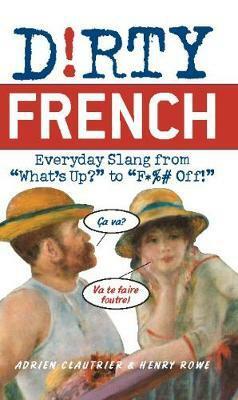 Not even in France, where the common expressions tossed around in cafes are far from text book French. This all-new, totally-up-to-date book fills in the gap between how people really talk in France and what French language students are taught. Adrien Clautrier is a self-employed mechanic born and raised in Marseille, France. Henry Rowe left Berkeley to play soccer in France. He never made it out of the amateur ranks, but stayed for the used bookstores and St- milion wine cellars.